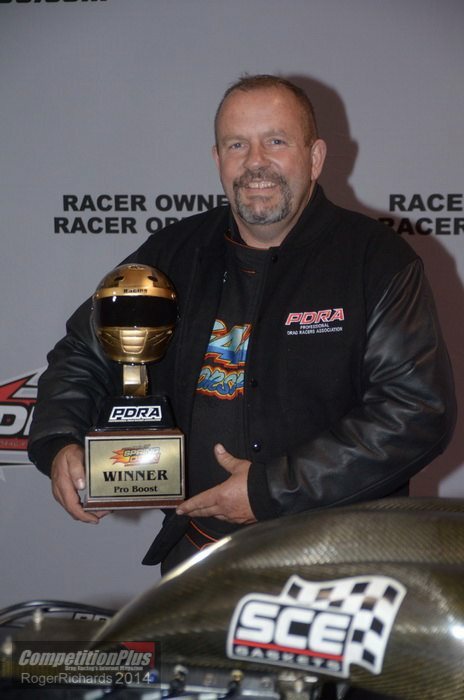 Tutterow Hammers competition at first PDRA event in Pro Boost class. 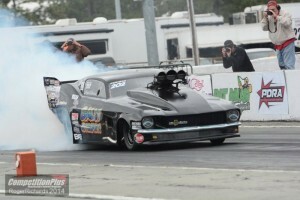 Todd Tutterow took his Galot Motorsports-sponsored 67 Mustang to the first PDRA event at Rockingham Dragway, and not only did he qualify in the #1 spot with a 3.81 @194.69mph, but Tutterow ‘hammered’ his competitors with a win in the Pro Boost Class. Remember: No one goes to the race track without a Hammer in their trailer. Photos courtesy of Roger Richards and CompetitionPlus.com.